Think all circus shows are the same? Far from it. Circus 1903 - The Golden Age of Circus, is a perfect example of that. I've seen a fair few circus performances over the years, and Circus 1903 stomps into the lead as one of my favourites for a few very good reasons. 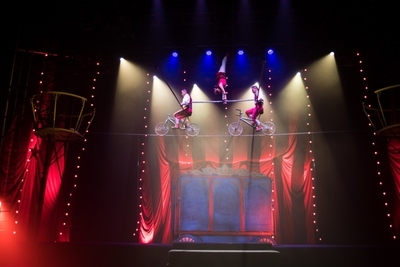 Circus 1903 is not just about tricks, but is a journey back in time to the early years of the Big Tent; a nod to the traditional travelling circuses at the turn of the 20th century. 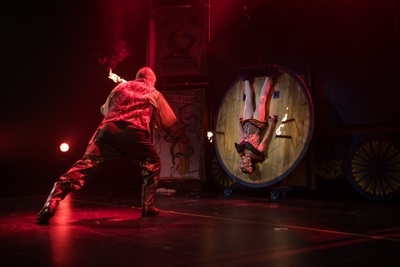 As well as the expected acrobatics, juggling, aerial work, high wire and tumbling, there's knife and flame throwing (a favourite for Mr.8), a comedy sideshow, and the pièce de résistance; lifelike elephants performing mighty tricks and joviality. It's the elephants who really do steal the show; walking pieces of art, which may be gigantic, but fill the stage with tremendous grace and dignity. 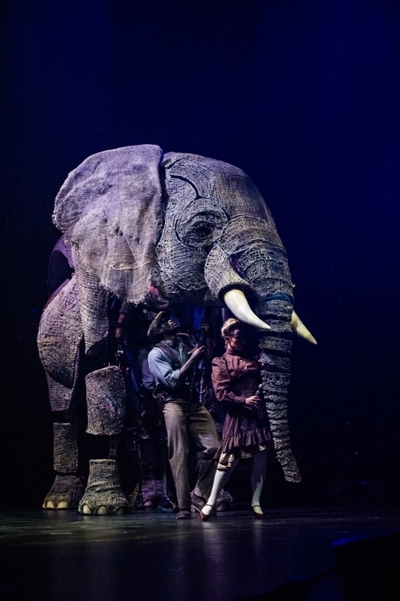 Mumma elephant "Queenie"s presence on stage is majestic, and her baby elephant "Peanut" is a playful little cutey. The creative team behind this world premiere event are the same producers of the biggest selling magic show (The Illusionists), and the award winning puppeteers of War Horse. 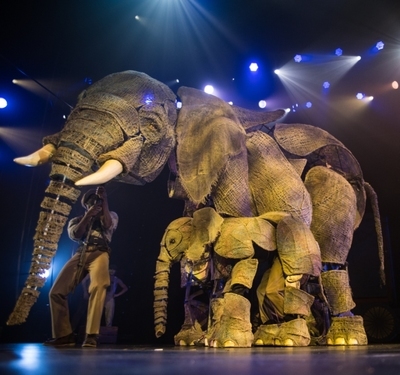 These two elephants puppets; mother and calf, come to life on the stage in a spectacular fashion. Is Circus 1903 suitable for children? Absolutely. Although for attention span, or lack thereof, I'd probably suggest the show is best suited to children age 5 plus. Circus 1903 - The Golden Age of Circus performs for just 10 days at The Regent Theatre, Melbourne, so book your tickets quickly.